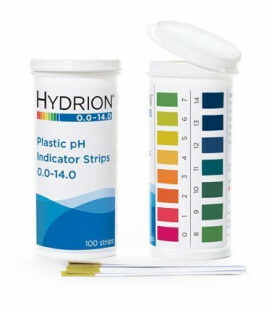 pH pencils are used for testing the Acid Alkaline levels on uneven surfaces. Each mechanical pencil will give the user at least 100 tests. Comes with colour chart and instructions. 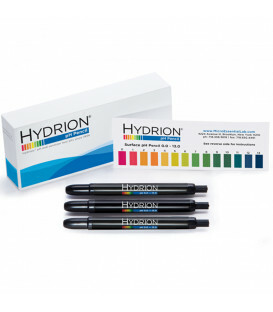 Hydrion pH Pencils provide users a unique & useful tool for the accurate measurement of surface pH. Although primarily developed for use in industries such as construction, textiles, and paper manufacturing, many cosmeticians and multinational cosmetic companies use the pencil to demonstrate the efficacy of their skin care products. 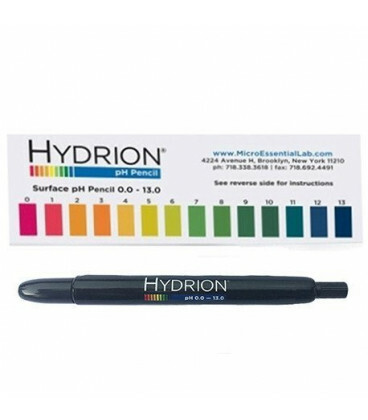 Measure the pH of many surfaces to the nearest full pH value with an easy to use pH Pencil. Whether you're a tradesman, artist or just home handy, these pH pencils work just like an ordinary pencil making them a most useful tool. 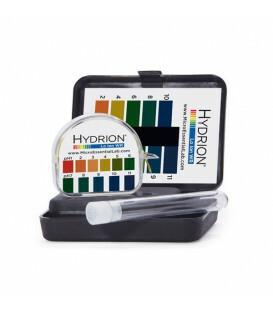 pH Pencil's are used to detect acid or alkali residues and can be used to test irregular or uneven surfaces, including porous material and impervious solids. 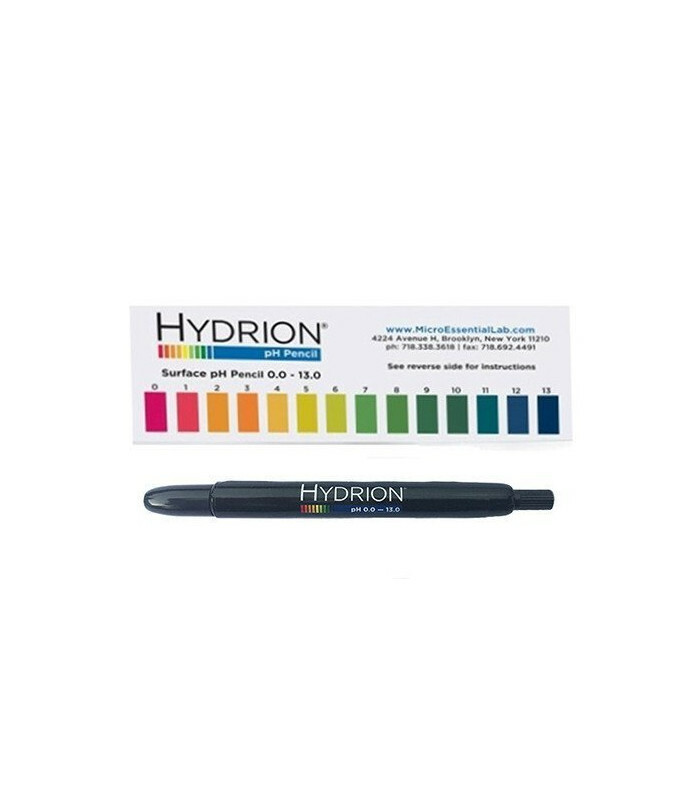 With easy to read colours, the pH pencil offers clear bright single colour matches at every 1.0 interval from pH 0.0-13.0. To measure the surface pH just wet the surface with distilled water. Stroke the surface with the pencil. Wait approximately 15 seconds and compare the resulting color change with the color chart. To advance pencil lead, simply turn the pencil top clockwise. 1 x Mechanical pencils and 1 x colour chart. Each pH Mechanical pencil can give the user 100 tests. Thanks heaps for getting this out ASAP for me. Being the first time I've used these for preparing & testing concrete slabs for tiling, they work a treat. Will be recommending you to my building contacts.